By buying this product you can collect up to 83 bonuspoints. 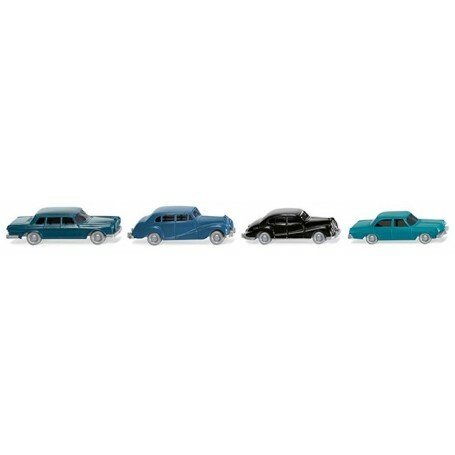 Mercedes-Benz 600 and Opel Admiral vehicle body alternately ocean blue or water blue. BMW 501 and Rolls Royce likewise alternately azure blue or black. Chassis silver.